He Has Been Challenged On Every Side-Can His Newly Discovered Faith Help Him Preserve A Nation? With Assyria on the march, moving closer to the heart of Judah, Hezekiah's decision to follow the everlasting One is about to face the ultimate test. 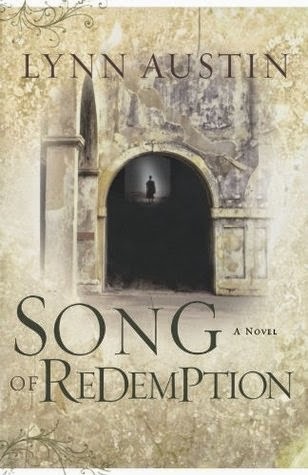 Song of Redemption takes place right where Gods and Kings end. Hezekiah is now king. Even though he has gone through so much as a child and leading up to him becoming king. Hezekiah now faces a tough challenge. It is trail for him and his faith. The last thing he wants to do is fail like his father and grandfathers before him. Hezekiah takes to the throne not knowing what is awaiting him. What he finds is turmoil. No money in the treasury, a land full of idolators, and no one he can trust, but he is determined to bring his nation back to God. This story takes place over seven years. The reform that Hezekiah has in store is great, but he faces opposition from many. Plus, the men who he wants to serve as his right hand men do not want the job. They know what the palace and power and do to a person and want nothing to do with it. They want to serve the Lord. Hezekiah turns then to his former tutor. He is a person who believes in nothing. Shebna I grew to like in Gods and Kings. He was kind to Hezekiah, when everything was falling around him. He was a stability. However in Song of Redemption, he lost his luster. He fought hard against the reform Hezekiah wanted. For someone that didn't believe in anything he wanted to make sure that Hezekiah didn't follow his beliefs, but that of his forefathers. We were introduced to a new character as well, Jerusha. She was an innocent girl day dreaming of marriage when we meet her, but after the harsh life she was forced into, we watched her crumble and harden her heart. Her story was heart breaking and through her eyes, you get to see the harshness and evilness of the Assyrians. We also get to see more into the marriage of Hezekiah and Hephzibah in this book. Hezekiah still has much to learn even as king, mainly when speaking to his wife, but he is trying to do the right thing. Hephzibah...right now, I just didn't see much point for her to be in the story. I can see how things are set up for her story to go deeper in the coming series, but right now, I want to shake her! After everything that Hezekiah has spoken with her about and how important they are to him, she blows what he says off. I hope that she changes, but right now, I do not like her. Lynn Austin has such a talent for writing. She makes the story pop off the page. The characters definitely draw out your emotions as you read. I can't wait to see what happens next in book 3!